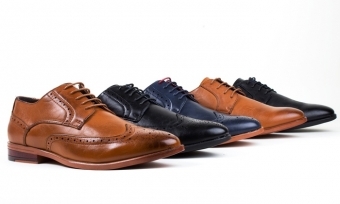 Shoes to compliment your outfit, whether it's a suit or a pair of jeans. *Images shown here are representational only. Please call or visit our store for full foot wear selection. Come in to the store and try something on... shoes complete the outfit. The $349 Spring suit package - see your grad and wedding specialists at Ted Matheson Men's Wear! You are our priority. With us, you get 89 years of experience and exceptional customer care. You are not just another customer. Come in today and see what we mean. You'll leave happy! We'd love to see you in person at the store, but there's lots of other ways we can be helpful!